your mom's a in' where! your mom is a bloody ! your mother is a nice person! 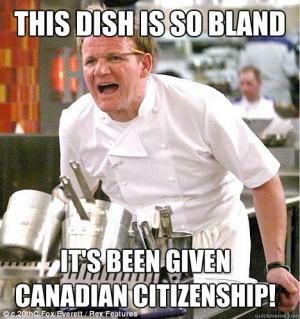 It's been given Canadian citizenship! Q. "Do you know the difference between a canoe and a Canuck?". Q: What does the C H stand for at the centre of the Montreal Forum? Q. 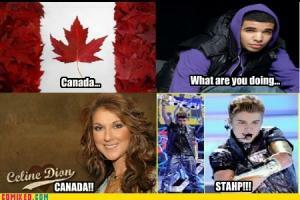 How did the Canadians come up with the name of the Country? It's hard to tell a Canadian from a regular very boring white guy unless he's dressed to go outdoors.